Andrea Kirkwood, PhD, knows exactly what’s in the water of our rivers, lakes and streams. 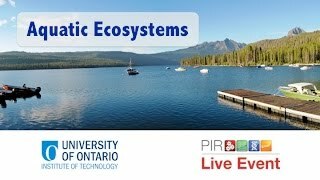 An aquatic microbial biologist, she has dedicated her life’s work to the understanding and preservation of ecological systems, in addition to harnessing biotechnology from aquatic microorganisms. An inherent curiosity about the world around her and deeper concern for the sustainable health of the environment guided Dr. Kirkwood’s education. In 1994, she completed a Bachelor of Environmental Studies (Joint Honours) degree in Environment and Resource Studies and Biology (Co-op), which she received from the University of Waterloo, Ontario. In 1996, she earned her Master of Science degree in Aquatic Ecology at McMaster University, Hamilton, Ontario, where she fell in love with research and the freedom to explore both in the field and the lab. 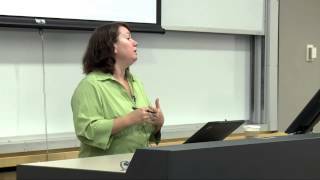 In 2003, Dr. Kirkwood obtained her Doctorate in Environmental Microbiology from the University of Toronto (U of T), Ontario. 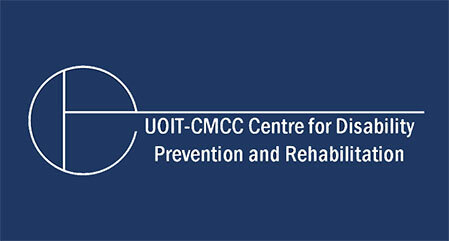 Since joining UOIT in 2008, Dr. Kirkwood has been instrumental in developing a new state-of-the-art UOIT Aquatics Lab, which will open in August, 2014. She has worked to strengthen the university’s Science programs and she has helped bring a Doctorate of Philosophy in Applied Bioscience degree to the university. Dr. Kirkwood also serves as an adjunct faculty member in the U of T Graduate Environmental Science program. 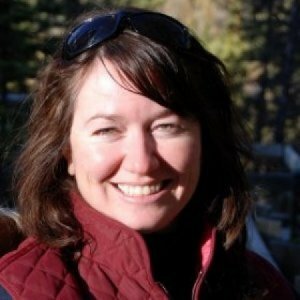 She previously held the appointments of post-doctoral fellow and research associate in the Alberta Ingenuity Centre for Water Research at the University of Calgary, and post-doctoral fellow at Oklahoma State University. RT @DNAkendra: @tjsharpton Hear hear. Metadata is data about the data. I.e. ph is data, the ph meter and who measured it is metadata. @morgan_vis @PBIO_OhioU @ohiou That is a big deal - congrats! @holly_fruehwald @tigerinstemm Oops, not the first to get a uni degree - my 2 olders sisters got theirs before me. Since 2012, Dr. Kirkwood has been a member of the Board of Directors of Friends of Second Marsh, a not-for-profit charitable organization dedicated to encouraging the protection and appreciation of Second Marsh, a coastal wetland located in Durham Region, other Great Lakes wetlands, our natural heritage system, and to promoting a healthy environment through education, communication, developing partnerships and fostering connections with all sectors of the community. The Canadian Phycological Culture Centre (CPCC) provides research quality cultures, culture medium, and other related services to educational institutions, government and commercial laboratories worldwide. 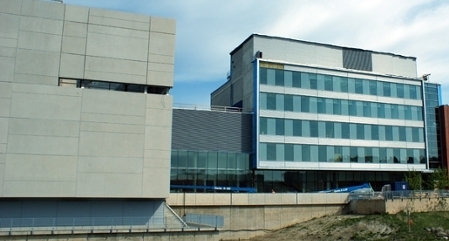 Housed at the University of Waterloo in the Department of Biology, the CPCC is internationally recognized as a major service collection of living freshwater algal, cyanobacterial and Lemna spp. (duckweed) cultures. 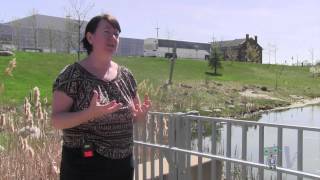 Dr. Kirkwood completed her post-doc work and continued as a research associate supported by grants from the Alberta Conservation Association and Alberta Sustainable Resource Development. During her two-year post-doctoral fellowship, Dr. Kirkwood studied algal extremophiles at the Salt Plains Microbial Observatory. The city’s north end is booming, but with the construction and the urbanization comes the possibility for contamination. As for how badly Oshawa’s waterways are being impacted, the answer is yet to be determined. 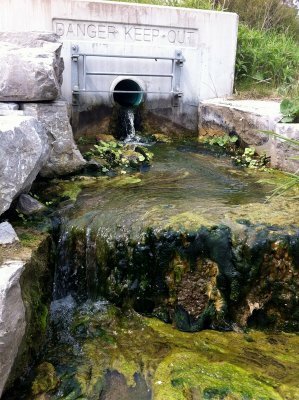 One thing is certain – as the development continues, the City of Oshawa will need to keep an eye on the quality of water in its creeks and streams if it wishes to save the beaches of Lake Ontario from consistent closures. SCUGOG -- An ambitious plan to map and document the aquatic plants that live under the surface of Lake Scugog -- and sometimes float on it -- has set sail. 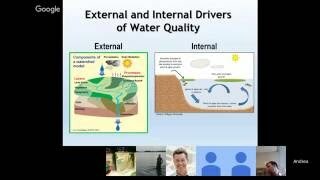 DURHAM -- A University of Ontario Institute of Technology biologist will advise the International Joint Commission on the current quality of the water in the Great Lakes. Andrea Kirkwood, an associate professor at the UOIT faculty of science, will join the commission in Washington, D.C. for a semi-annual meeting this April. 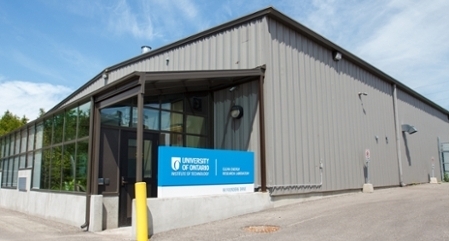 The University of Ontario Institute of Technology (UOIT) is small but mighty when it comes to its researchers studying a variety of areas within ecotoxicology. A social media call for collaborators has a UOIT professor and her lab collaborating with over 170 researchers from more than 50 countries. 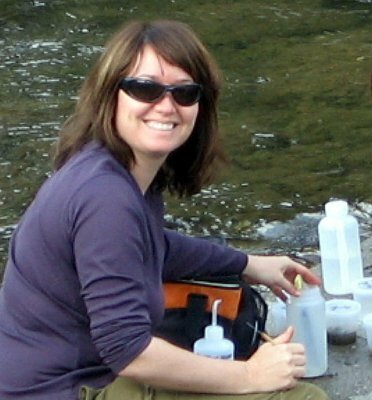 Dr. Andrea Kirkwood, Associate Professor of Biology in the Faculty of Science, and researchers in the Kirkwood Lab are participating in the Cellulose Decomposition Experiment (CELLDEX), a global study conducted in the banks of streams and rivers across the globe. Spearheaded by Dr. Scott Tiegs, Associate Professor at Oakland University, the study uses cotton strips placed adjacent to streams to determine the decomposition rate across different biomes in the world and how environmental factors can influence them, including climate change. All ecosystems depend on decomposition to remove waste and recycle nutrients back into the ecosystem to sustain life, so the research provides an important baseline. Our interviewee is Dr. Andrea Kirkwood, an Associate Professor of Biology at the University of the Ontario Institute of Technology (UOIT) in Oshawa. Andrea has a BES in Environment & Resource Studies and Biology from the University of Waterloo, an MSc in Aquatic Ecology from McMaster, and a PhD in Environmental Microbiology from the University of Toronto. Nature lovers in Oshawa spent a cloudy Earth Day 2012 taking an informative guided walk along Oshawa Creek. Hosted by the City of Oshawa, the creek walk was led by UOIT biology professor Dr. Andrea Kirkwood. Attendees gathered at Oshawa City Hall to listen to the short presentation about urban creeks. Dr. Kirkwood explained what stresses can be placed on the creeks, why waterways are important to protect and how that goal can be achieved. Around 30 people attended the walk, which Dr. Kirkwood says was the perfect size as everyone was able to hear, see and learn along the way. 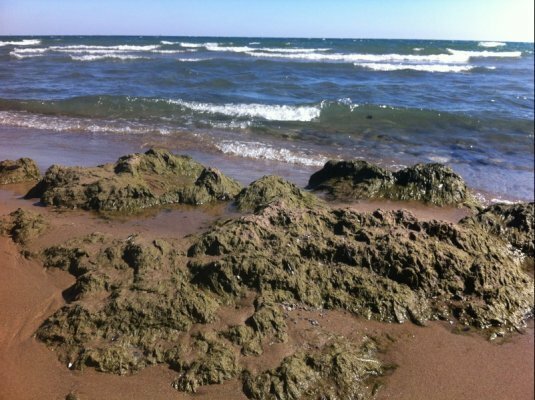 The alga Cladophora glomerata can erupt in nuisance blooms throughout the lower Great Lakes. Since bacterial abundance increases with the emergence and decay of Cladophora, we investigated the prevalence of antibiotic resistance (ABR) in Cladophora-associated bacterial communities up-gradient and down-gradient from a large sewage treatment plant (STP) on Lake Ontario. Although STPs are well-known sources of ABR, we also expected detectable ABR from up-gradient wetland communities, since they receive surface run-off from urban and agricultural sources. 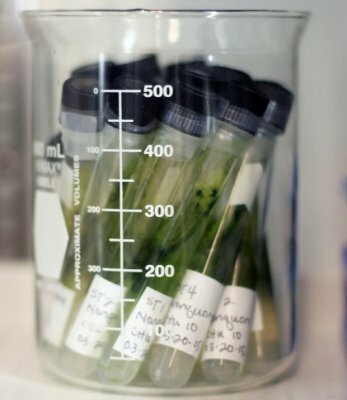 Exploiting microalgae as feedstock for biofuel production is a growing field of research and application, but there remain challenges related to industrial viability and economic sustainability. A solution to the water requirements of industrial-scale production is the use of wastewater as a growth medium. Considering the variable quality and contaminant loads of wastewater, algal feedstock would need to have broad tolerance and resilience to fluctuating wastewater conditions during growth. Profiling microbial communities associated with cadaver decomposition may provide useful information concerning post-mortem intervals and aid in the identification of clandestine graves. Four experiments using pig carcasses as human decomposition analogues were performed over the course of 2011 and 2012 in southern Ontario to document changes in soil microbiology following decomposition.